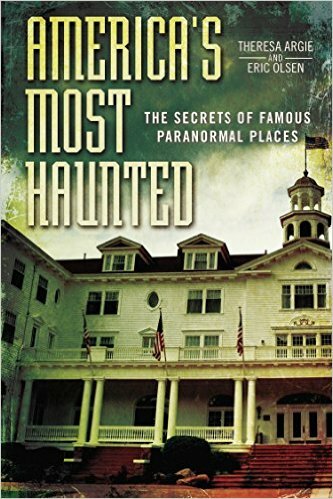 On a spirited and “triple threat” (ghosts, UFOs, cryptozoology) episode of After Hours AM/America’s Most Haunted Radio — scintillating paranormal talk Thursdays 9-11pE with hosts Joel Sturgis and Eric Olsen — we discuss the inaugural Twinsburg Paranormal Conference with founder and veteran “triple-threat” investigator and author Brian D. Parsons. We talk with Brian at 10pE; at 9pE Joel and Eric review the latest paranormal news from the America’s Most Haunted Twitter feed. 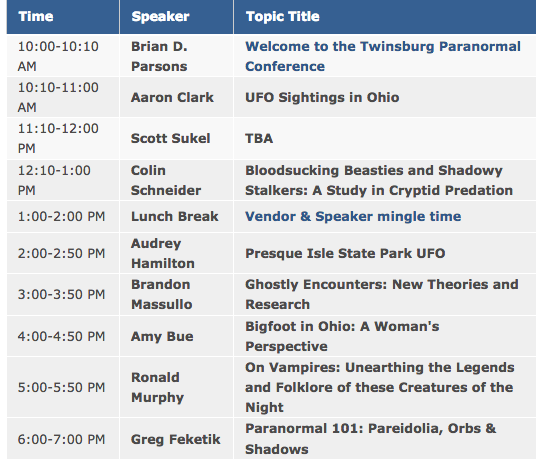 The inaugural Twinsburg Paranormal Conference will explore phenomenon related to ghosts, UFOs, cryptozoology, and other “beyond normal” topics that defy current scientific explanation. Most of the speakers are from Ohio and are impressive public speakers from varied backgrounds. 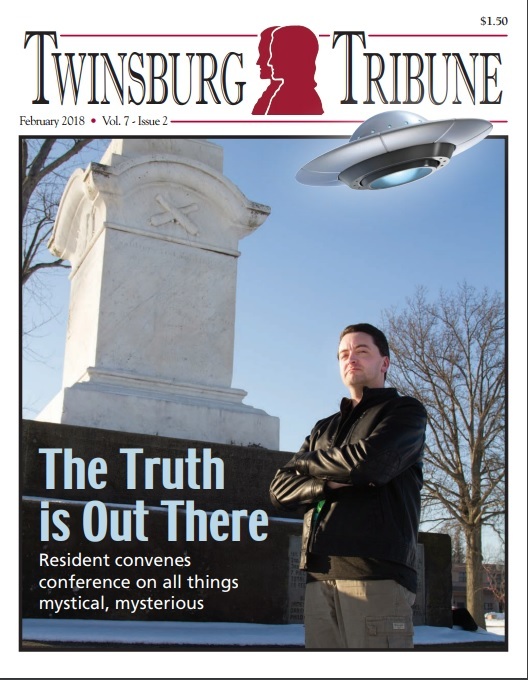 The purpose of the conference is to bring to the city of Twinsburg a public forum for those who believe, those who are curious, and those who are skeptical to learn and ask questions of those research and investigate these fields. of the Cleveland Ufology Project, which has a strong claim to being the oldest set of citizen-UFO watchers on the planet with a history dating back to 1952. Author Brandon Massullo is a Toledo parapsychologist and author. Filmmaker Audrey Hamilton investigates Bigfoot and possible extraterrestrials in northern Pennsylvania. Amy Brue hails from the Bigfoot Field Researchers Organization, the largest Sasquatch-pursuit club in the U.S. Scott Sukel, seen on many paranormal reality-TV shows, has worked as a historian and ghost expert at the notorious Ohio State Reformatory. “Crypto-Kid” Colin Schneider is one of the youngest active researchers in the United States at only 16-years-old. He has been involved in cryptozoology and ufology since he was 13 after he visited the International Cryptozoology Museum in Portland, Maine. 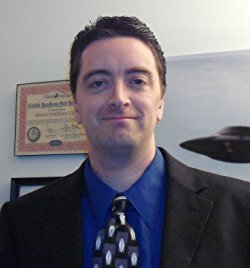 Brian Parsons is the author of six books dealing with ghosts, cryptozoology, UFOS, as well as his own “E4” Method of client-based paranormal investigation. He is the host of the Paranormal News Insider radio show heard Tuesdays at 7pE on WCJV Digital Broadcasting. He is the executive director of ParaNexus Anomalous Research Organization, director of Ohio Cryptid, and works with a variety of other groups in Ohio and Pennsylvania. He is also the creator of Ohio Groups.com which displays Ohio based paranormal groups that conduct client investigations. In 2013 he received his PhD in metaphysical humanistic science from the Institute of Metaphysical Humanistic Science. Brian lives in Twinsburg with his wife Amy.